No Bruno? I guess he's in Denver? Bruno played, he just came off the bench and only had 6 pts. Also, the move to FB is one 8f the worst the NBA could make. YouTube is a platform that works flawlessly for streams. I dont want to have to use facebook just to enjoy a game. Yeesh. Now Cody can stop posting about this guy and we have a poster to blame if anything goes wrong!! We won't hear back from him. He dissapears into thin air and reappears when you least expect it. Ten is an enigma. Ten is a legend. Ten for the motherfucking win. I can't wait until the playoffs start. I was at the game. Stackhouse wasn't sure Bruno would be available due to a foot injury during practice (which was why he was very limited this game). I heard people at the scorer both talking about the Facebook stream. I just assumed it was "in addition to" talk rather than "instead of." I don't get the move myself when they could just do both. With that said; I really liked this game. I will also so that, despite him seeming to be cold for the game, the Swarm's Christian Wood is really damn good. On our end; I think we might be able to make the D-League playoffs this time around. Even ignoring the Raptors assignee players. Bruno looking decidedly better tonight (not that I watched the last two, or anything besides his highlights) against the best team in the D-league at the moment. 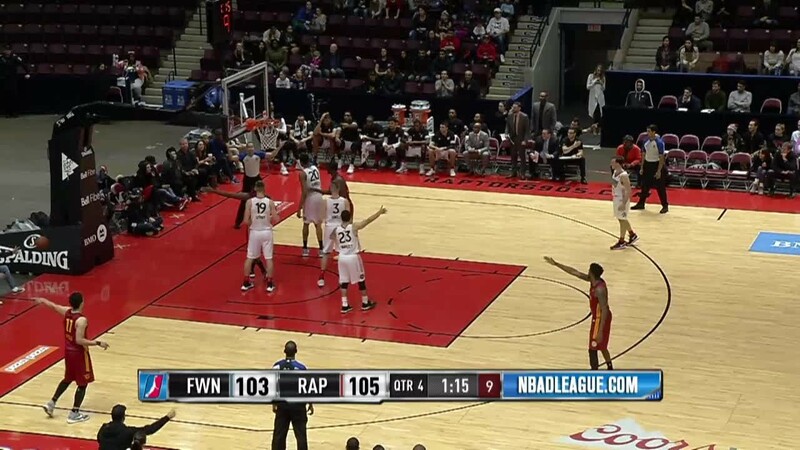 Judging by this game, the D-league (they certainly do have to rebrand that, non?) really has come a long way. Then, the new CBA should be a massive difference above this. Hell, I wouldn't mind a Grizzlies 604 in Vancouver. Yeah it's pointless to judge Bruno's level of play and progress by just his shooting stats in the box score. It looked fine last night. It's really beginning to feel that way.